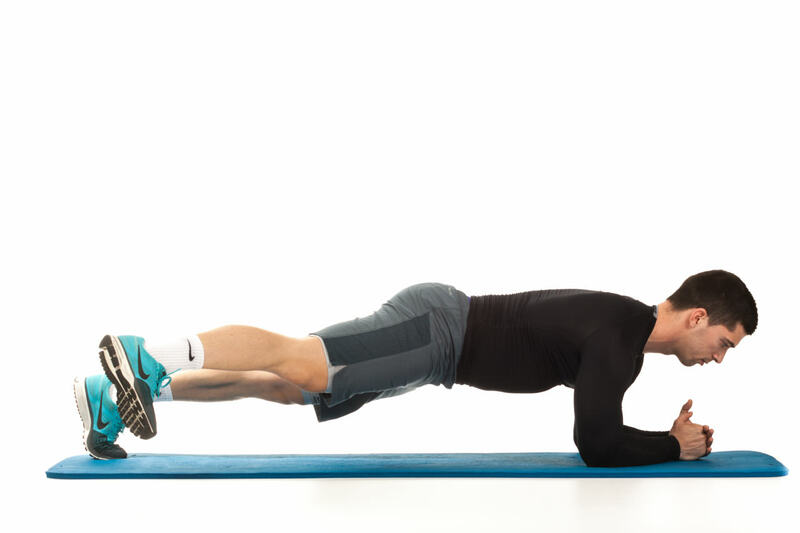 Core strengthening is a surefire to prevent future back pain. Strengthen your core, improve your stability, and better your balances with these exercises. 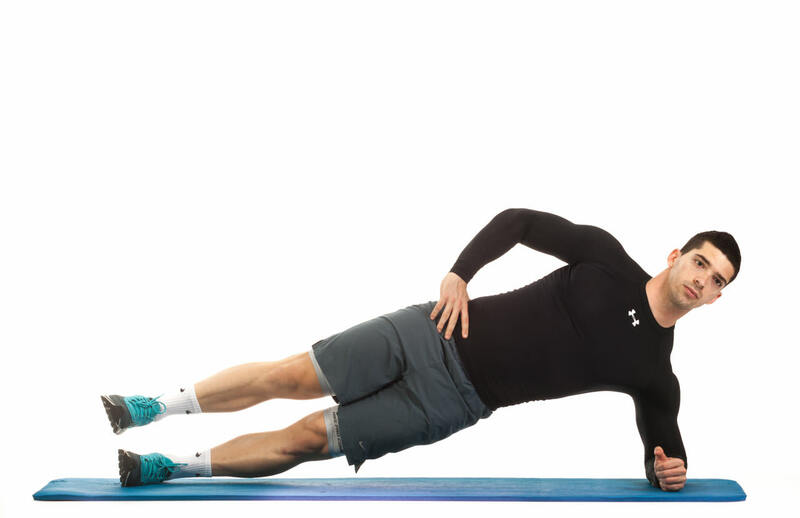 Get into a modified pushup position with your weight resting on your forearms and toes. Put your elbows directly beneath your shoulders. Your body should form a straight line from your neck to your ankles. Take one leg off the floor, keeping the leg straight and the hips low, and slowly take it to the side. Return your leg to the starting position. Repeat the exercise according to the training plan then switch legs. Lie on your side. Position yourself on your bottom elbow and the side of your foot. Put your top arm on your hip. Lift your hips in the air forming a straight line between your ankles, hips, and shoulders. Brace your abs and squeeze your glutes. Lift up your top leg while it is fully extended. Lower your leg to the starting position and repeat the exercise according to the training plan. Turn to the other side and repeat the exercise with other leg. 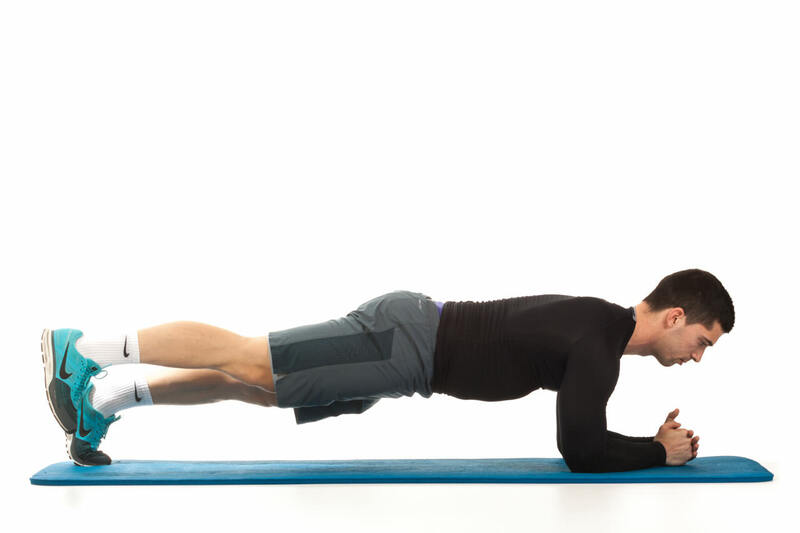 Get into a reverse plank position face up with your weight resting on your hands and heels. Put your hands shoulder width apart. Your body should form a straight line from your neck to your ankles. Slightly lift one leg off the floor. Keeping your raised leg extended, slowly take it to the side. Brace your core and lift one foot off the floor. Lower your leg down to the starting position. Repeat the exercise according to the training plan then switch legs. Lie on one side with your legs completely straight. Prop your body up on your elbow and forearm so that your body forms a straight line from your shoulders to your ankles. Raise your top leg. Move your top leg forward. Turn back your leg to the starting position then right away without landing your top heel, move it backward. Make sure you do not let your hips sag. Return to the starting position and repeat the exercise according to the training plan. Turn to the other side and repeat the exercise with other leg. 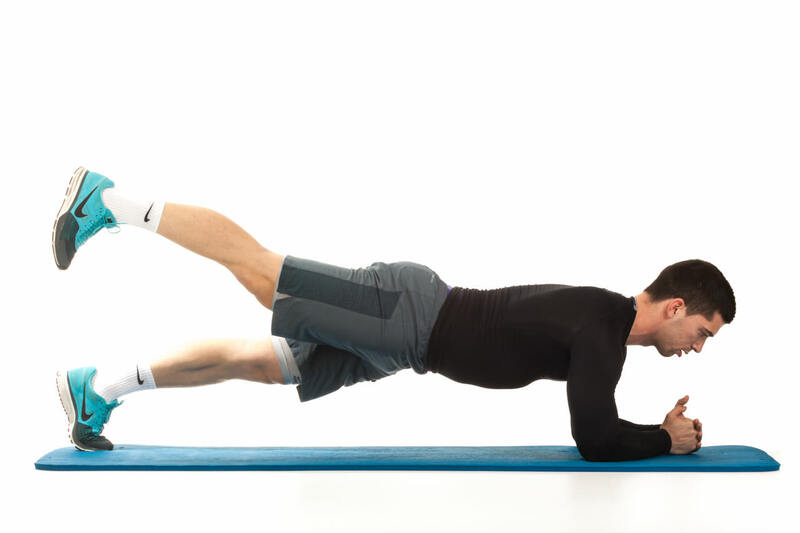 Get into a reverse plank position face up with your weight resting on your hands and heels. Put your hands shoulder width apart. Your body should form a straight line from your neck to your ankles. Lift your leg up, keeping your leg fully extended. Get onto your hands and knees. Line yourself up so that your shoulders are directly over your wrists, and your hips are directly over your knees. Keep your head, neck and back straight. Crunch your elbow and your knee so that they meet underneath your body. Raise your right arm and reach forward until it is in line with your torso. As you bring your arm forward kick your left leg backwards until it is straight and in line with your torso. Hold this position for a second. Crunching your elbow and your knee, go back into the starting position without landing them on the floor. Repeat this exercise according to the training plan then switch legs and arms.